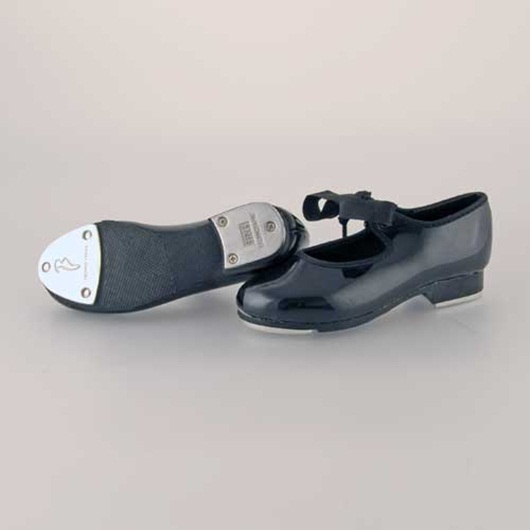 "Dance Now's" student tap shoe features taps that offer maximum contact for maximum sound. The non-slip pro balance pad is located behind the tap. Other features include a manmade upper and sole, padded insoles, and soft lining. This shoe is packaged with elastic tap ties and matching ribbon allowing two choices of attachment. Taps are riveted onto the shoe. Choose size one half down from street.